Twist-edGames.com is a small studio that makes story-driven games. We have a focus on creating the best-looking games possible along with telling a unique story (with some subtle educational elements). 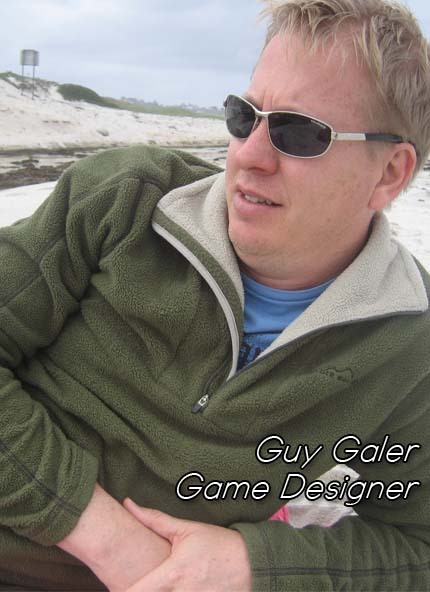 Guy Galer is the owner and game designer. His previous game "Bureau - Agent Kendall" was featured and reviewed in Official Xbox Magazine - July 2011. Critics have uniformly praised the graphics and storytelling. He also participated in the Official Xbox Magazine's Independence Weekend, featuring the top Xbox indie developers. Guy Galer has been creating computer graphics and games since the early days of the Commodore 64 and started doing 3d animation on an Amiga 1000. He has a degree in computer science and a minor in film production and has spent almost 20 years developing software for large companies (Fortune 500), startups and government agencies. Over his career, he has earned 5 software patents, managed 100s of developers and delivered high-risk projects on time and on budget. He is excited to return to his original passion of computer graphics and games.